In an article first published by the People’s Press, Josh Price reports on the efforts to get an explanation for what happened to a man who died in a jail in Binghamton, New York after being held for over a year and a half without a trial. 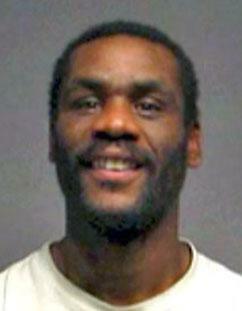 ON JANUARY 15, 2015, Salladin Barton was found dead in his cell at the Broome County Jail. A mentally ill and developmentally challenged man, Mr. Barton had been held at the jail for 19 months without trial. Jail officials had placed him repeatedly in solitary confinement and in restraints during that time. The direct cause of Mr. Barton’s death is still unclear. Toxicology reports were inconclusive. He may have fallen and knocked his head. He may have died from injuries he sustained the day before from a bad beating by corrections officers. We just don’t know. I have talked to Mr. Barton’s family at least a dozen times since they first contacted me. They have questions about the last months of his life. Why was he put into solitary confinement over and over again? How could he be held so long without resolution of his case? And they have questions about his last moments on earth, why he died, why they have not been given a proper accounting. They do not want anyone else to die as he died. They do not want any other family members to be forced to mourn as they are forced to mourn, facing unanswered questions. He died alone, when correction officers and medical staff delayed timely attempts to resuscitate him. Imagine him, dying convulsing, on the floor of his jail cell alone, while men caged in other cells around him called for guards to attend to him. THE BROOME County Jail is populated with ghosts, not just of Mr. Barton, but also of Alvin Rios and Shirley Harris-Smith. According to the State Commission of Corrections, the body charged with overseeing jails and prisons in the state, Alvin Rios’ 2011 death was the result of negligence by the county jails’ medical provider, the for-profit company Correctional Medical Care (CMC). Mr. Rios was left shaking on his cell floor while CMC and jail staff did nothing. The county settled with the family for $62,000 and CMC was found guilty by the state’s Attorney General of violating contracts at two other jails. In 1987, Shirley Harris-Smith was found hanging by a bra in her jail cell only hours after her arrest. She was 32, pregnant and had five children waiting on the outside. Officials claimed her death was a suicide. People in the Black community scoffed in disbelief. Thirty years later, people still discuss her death as an injustice. According to a commonsense view, jail harms only the incarcerated person. But this is a myth that we uphold only at our jeopardy. One of the consequences of incarceration is that people otherwise connected are isolated from one another. If incarcerated people are isolated from kin and community, then reciprocally the people on the outside are isolated from those who are incarcerated. The harm is borne by all of us. I did not know Mr. Barton, but his death diminishes me. His loss diminishes all of us. These racist, state-generated killings animate these ghosts that haunt all of us. Salladin’s family has started a Justice for Salladin Facebook page that has over 1200 “likes.” Now several area organizations are starting to ask for accountability. We have begun to hold community meetings. What issues are at stake in the death of Mr. Barton? Was it an unfair bail system that condemned him to spending 19 months in jail without a trial? Ineffective counsel? An overly zealous prosecutor? A society that criminalizes the mentally ill? What role did the private health care company, Correctional Medical Care play in the death? What role was played by the guards who, according to several accounts, jeered and tortured Mr. Barton? How tragic, ugly, and unjust will we let the Broome County Jail continue to be? First published by the People’s Press.